Roslindale, MA, (October 24, 2018)– Today, Exotic Flowers is joining floral industry businesses in more than 400 cities nationwide to surprise unsuspecting passersby in Roslindale with two free flower bouquets each – one to keep and one to give to a friend, family member, colleague, or even a stranger. The random-acts-of-kindness effort -- called Petal It Forward and organized by the Society of American Florists (SAF), of which Exotic Flowers is a member -- is designed to help people start their day with more smiles and less stress. The effort illustrates new research from the University of North Florida (UNF) that shows living with flowers reduces stress. 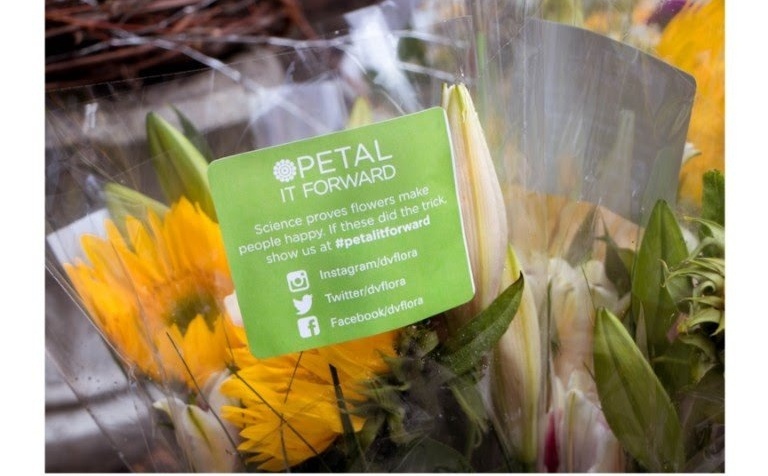 “Petal It Forward is the floral industry’s way of giving back,” said Jennifer Sparks, SAF’s Vice President of Marketing, citing the nationwide effort was purposefully planned for a Wednesday to help the mid-week slump. Rick Canale of Exotic Flowers wanted to be a part of the nationwide mood-boosting effort, and make a difference in the community. “We have been in this location for 88 years and we want to help make someone's day in the community,” said Canale. “Through the positive effects of flowers, we hope to make someone’s day brighter, and provide a much-needed moment of calm amidst the hectic pace of life,” he added. The research findings on flowers and stress relief, and the need for mood-boosting gestures, seem timely: A survey by Wakefield Research in July showed that 68 percent of Americans experience stress weekly, and 32 percent report feeling stressed daily. Women are even more affected, with 25 percent reporting feeling stress multiple times a day. Canale says the original idea behind Petal It Forward’s ‘keep one, share one’ concept, which started in 2015, came after looking at statistics that showed while 80 percent of people reported receiving flowers makes them happy, even more (88 percent) said that giving flowers makes them happy. “We want to give people the chance to experience both,” said Canale. 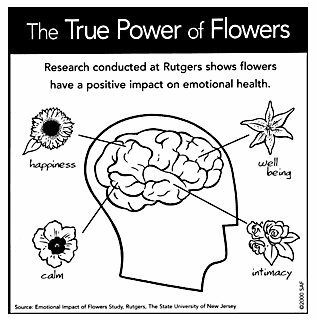 In addition to the new research on stress, previous behavioral studies conducted by Rutgers and Harvard scientifically demonstrate the positive impact flowers have on emotional well-being. 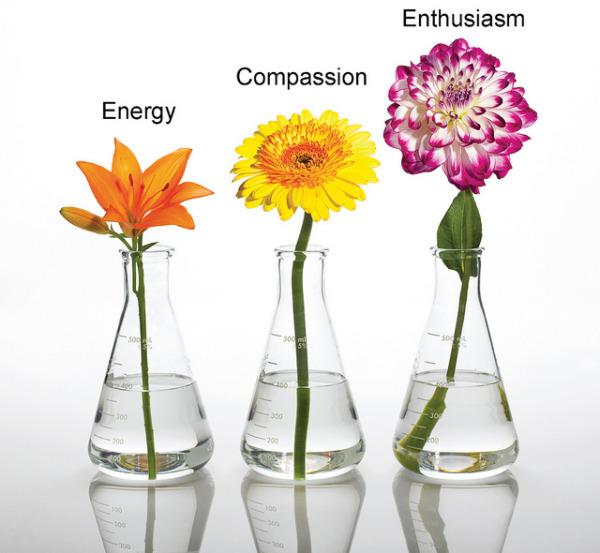 For information on the effects of flowers on stress research, visit aboutflowers.com/stressless. 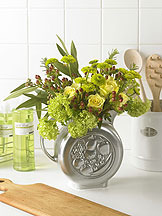 For research on all of the health benefits of flowers, visit aboutflowers.com/research. Data supports the fact that adding a weekly flower account to your store or office creates a significant difference in several impertinent areas. For starters, as potential customers enter your shop to browse your selection, they are instantly greeted with a warm welcome that says, “I want your experience here to be one that you remember.” A bloom’s natural features such as texture, scent and color all positively influence the mass majority of our population’s attitudes which can only bring greater chances for business prosperity. Another truth to adding florals to your budget is that a pretty arrangement can also increase employee performance as well. When you make the workplace a happier, more pleasant setting, those who work for you will also experience a better mindset that will likely affect their ability within sales and service responsibilities. So, you see, it’s a win-win situation all the way around. Now that I’ve got your attention and you’re ready to contact the local florist to help set up an account, you might be wondering what are some good options to choose from? Contrary to popular belief, you don’t have to spend a fortune to add a vase of buds to your business setting. 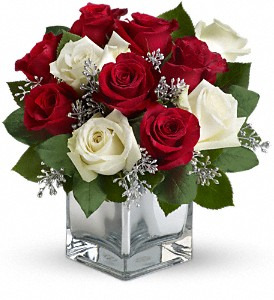 Adding flora and fauna can be as simple as purchasing a plant or a single stem of roses. Whatever you budget allows for, there are numerous ways to go about this so don’t get flustered. These are some top choices that create a beautiful look, plus they won’t break the bank in the process. Peace Lilies are great plants to invest in, particularly if you do not desire a strong-smelling flower. Just water once a week and they should stay healthy for a long period of time. If you want a brighter impact, ask for a 6’’ bubble bowl filled with seasonal cut flowers or request an architecturally interesting design of calla lilies to really display an eye-catching piece. A). I’m a warm-blooded soul who despises snow and ice. B). Traveling becomes tricky with bad road conditions forcing us to become hermits for most of the season- another personality trait I’m missing. C). THERE ARE NO OUTDOOR FLOWERS!! It is a scientific fact that flowers have the power to elevate our moods, particularly when we are feeling at our lowest. All of the senses play a part, including the way a flower smells, its texture, color and arrangement with other species. Our minds are positively enhanced the moment we set eyes on a bouquet and eventually we learn to connect this sensation of happiness with flowers in general. So when the weather turns chillier and we lose our stimulation from outdoor gardening and growing, we have to make a conscious effort to seek them out elsewhere. Contacting your local florist is the best way to solve this problem or you can even begin with indoor seeds such as marigolds and nasturtiums. They’ll be fun to watch sprout and you’ll have pretty blooms flowering through the coldest months of the year. Flowers arranged in areas such as entryways and foyers are symbolic of the meaning of sharing. Guests who enter a building and are greeted by a fresh bouquet of flowers on the table react to this by feeling welcomed. 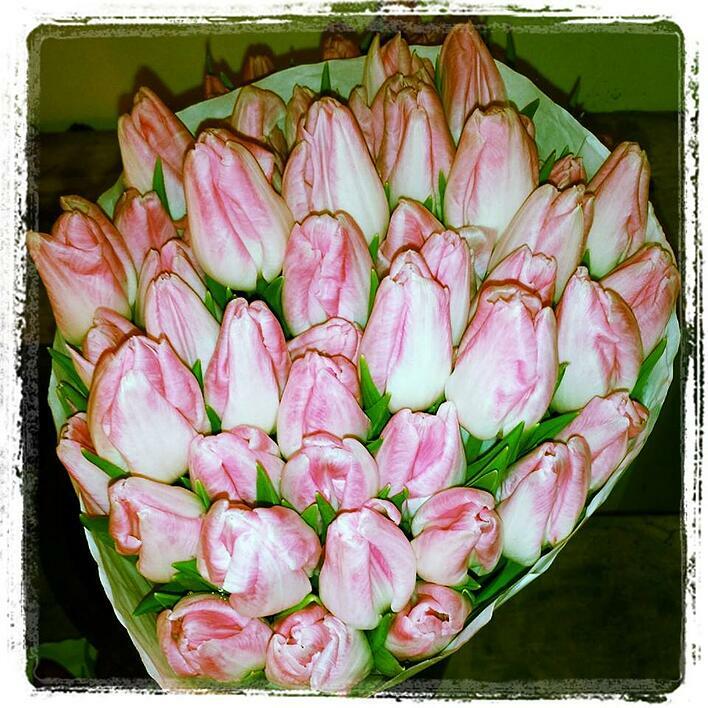 Flowers are a wonderful gift to a loved one because it actually works as an aphrodisiac. The gesture can build strong emotions of intimacy and likely bring two people physically closer together. Flowers open windows to creativity and often encourage a person’s imagination when exposed to flowers on a regular basis. Some of our greatest artists of all time like Van Gogh surrounded him self regularly with flowers in order to find inspiration for his work. The following article appeared in the SAF Sales Wake Up ! on Saturday, October 29th 2016. In Boston, Rick Canale has found a new way to solve the ongoing challenge of helping staff members connect quickly with customers in an authentic way: sweatshirts. Earlier this week Canale handed out hooded sweatshirts to his employees at Exotic Flowers. On the back, each shirt has the word "Flowers" and the number "98"— both a reference to New England Patriots defensive end Trey Flowers, whose name is too perfect for Canale to resist. 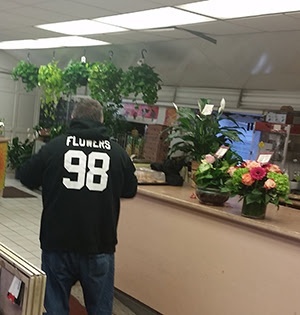 At Exotic Flowers in Boston, employees don a sweatshirt featuring the name of a favorite New England Patriots player — who's last name happens to be flowers — as a way to create connection with customers. "This visual statement sends a message to customers," Canale said. "It not only opens a dialogue with clients to show common interests, but it shows that we are not just the 'florist behind the counter.' We have similar likes and dislikes." That personalization is no small thing. According to the research firm Gartner, 64 percent of people say customer experience is more important to their purchasing decisions than price. "It is just another piece that personalizes our relationship with customers," said Canale. Canale has also taken the flowers/flowers love beyond the physical store, interacting with the football player on social media. "He has re-tweeted our support to his fan base, which is an added bonus," Canale said. And Canale says that florists in other metro areas who want to copy the easy conversation-starter have options, too. "There are many pro and college athletes with the last name Flowers," he said. "Tyler Flowers is a catcher for the Atlanta Braves. Brandon Flowers is on the San Diego Chargers and Marquis Flowers plays for the Cincinnati Bengals." Read more about why "can I help you" is ineffective and get 25 ideas for alternative phrasing. Every Saturday, the Society of American Florists (SAF) offers sales tips to floral industry professionals. 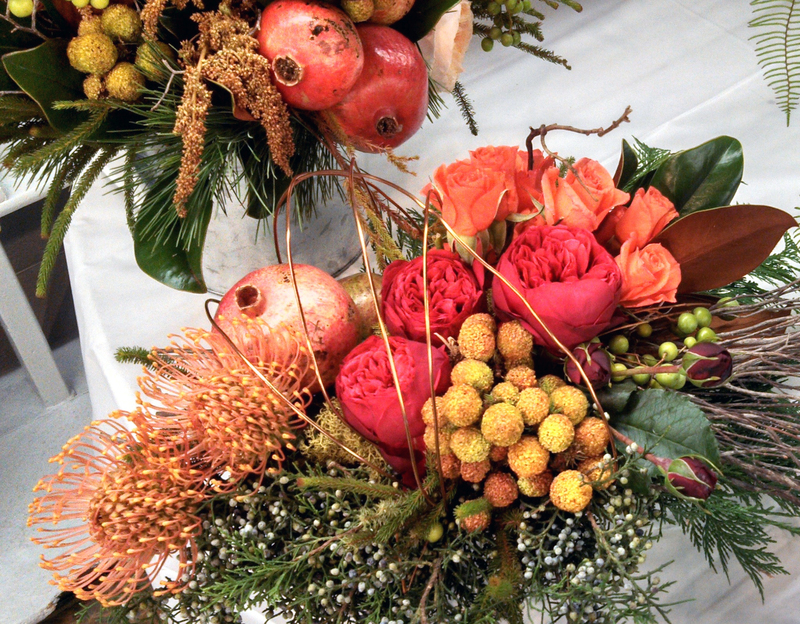 This week, Katie Hendrick shares some holiday sales tips from Exotic Flowers in Boston. At Exotic Flowers in Boston, convenience and customer appreciation define the company's holiday marketing philosophy. We reached out to Rick Canale, owner of the 2008 Marketer of the Year-winning shop, for some tactics to get customers in the door and spending money, amidst all their other shopping activity. Offer complimentary containers of hand sanitizer (to keep cold and flu germs at bay). The Exotic Flowers version has "Red Sox World Series Champions" emblazoned on it. Hand deliver poinsettias to top 100 clients. Hand sign cards to top 200 clients.